2018 Exmark LZE751GKA604A1 for sale in Waterbury, CT. Schmidt's & Serafine's Inc. 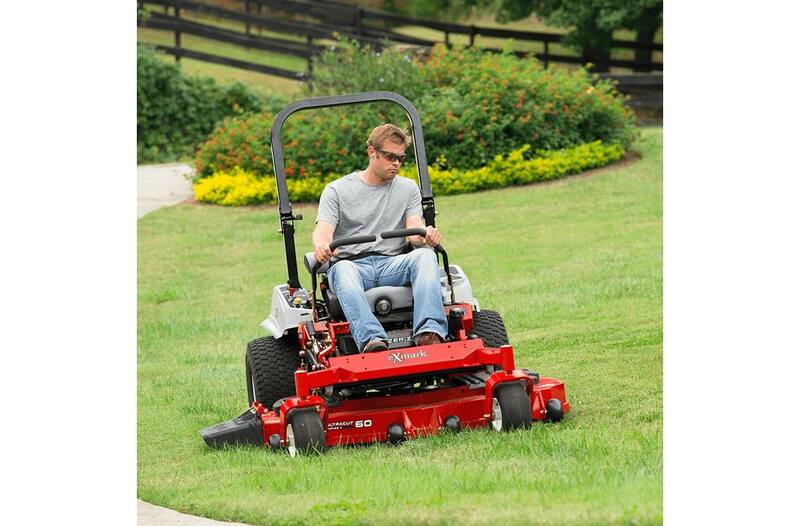 The perfect choice for professional landscape contractors who want the innovative engineering and commercial-grade quality of a Lazer Z zero turn mower, but in a value package. Features the same welded, heavy-duty, 1.5"x 3" tubular steel unibody frame found throughout our Lazer Z models. 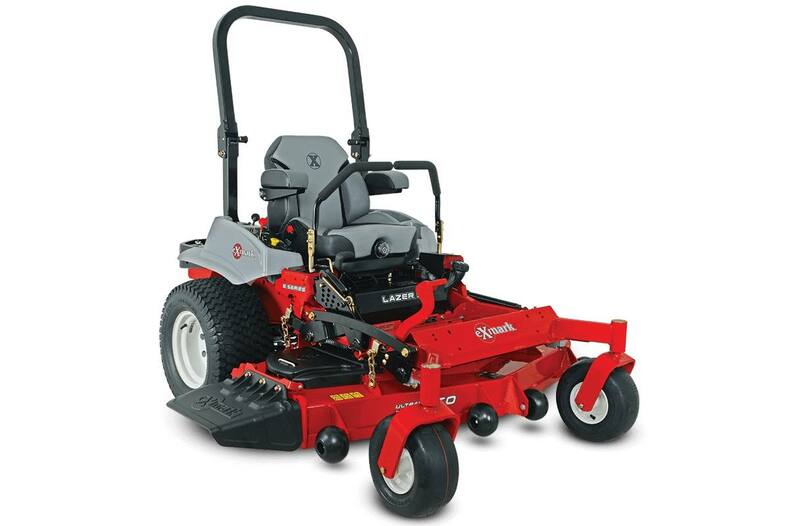 You can also choose from two rugged Kawasaki® V-Twin engines or a Kohler® Command™ EFI engine matched to a full-floating, UltraCut™ Series 4 cutting deck, in 48, 52, 60 or 72 inch widths. A digital operator diagnostic module simplifies system monitoring and troubleshooting, while the fuel gauge uses ultrasonic waves to provide a more accurate reading. 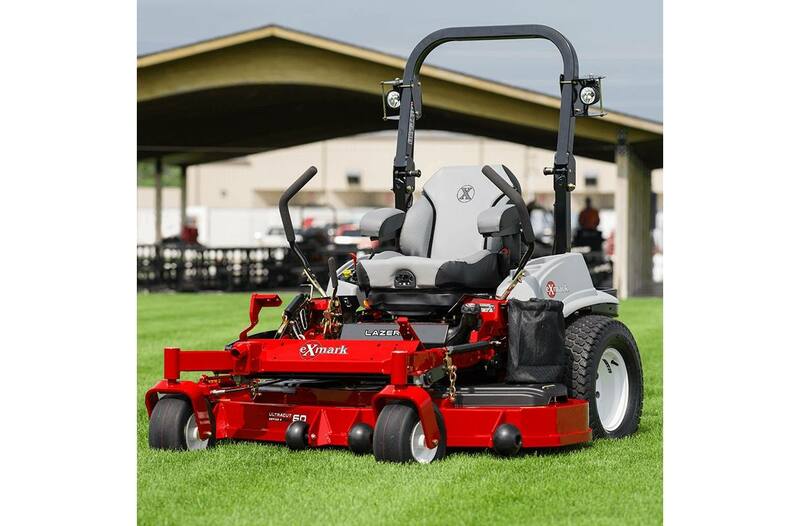 Comes equipped with a full-suspension seat that enhances operator comfort. Hydro Drive, Simplified: Our hydro drive system has no hoses to leak and just one easy-to-change belt. Only simple, annual maintenance is required. It also lowers the center of gravity for improved handling. Unibody Frame: Our one-piece body frame is a classic case of “less is more." Because, fewer parts equal more strength. And, more durability. So, in the interest of accuracy, the Lazer Z's unibody frame is actually a case of “less is way more." Less Time At The Pump: Gas-powered E-Series models have a single 8-gallon tank with one fill location. On-Board Diagnostics: Check vital functions at a glance on the digital screen. An electronic fuel gauge with low fuel warning on all Lazer Z units, battery voltage warning, hour meter and OPC safety switch monitoring make troubleshooting easy. Ultracut Series 4 Deck: This full-floating deck uses maintenance free spindle with a splined blade driver to stop bolt tightening on impacts. And, our patented bearing design on idler arm pivots only needs annual service. 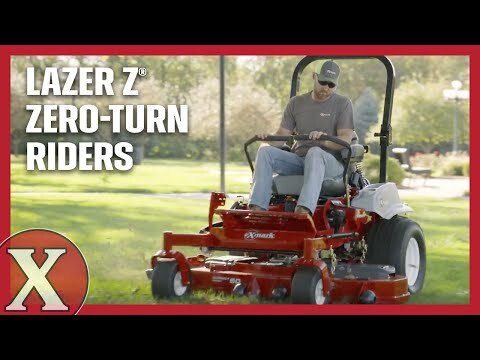 Fewer Grease Points: With just four grease points that only need annual greasing, the Lazer Z delivers maximum performance with minimum maintenance. Greaseless spindles and only four grease points on the entire machine. Blade Spindles: No maintenance, sealed and non-greasable spindles; 7.75"-diameter cutter housing with 25mm (.98") diameter spindle shaft and splined blade driver. Front Caster Tires: 13 x 6.50-6, smooth-tread, semi-pneumatic. Seat: Deluxe, bolstered suspension seat with Elastomeric Vibration Control material. Adjustment: Fore and aft from Operators' Position. Fuel Capacity: 8-gallon (30.3-L) single fuel tank with single fill location. Drive Description: Two Exmark exclusive Parker unitized pump and wheel motor systems with no hoses, integrated cooling fans, shock valve, 1.7-quart integrated reservoir, spin-on filter and heavy-duty components. 12 cc pumps and 14. 5 cubic inch motors. Speed: Infinitely variable speed selection from 0-10.0 mph (16 kmph) forward, 0-6.0 mph (9.7 kmph) reverse. Width / Cutting Deck: 60"
Deck Style Description: Full-floating UltraCut Series 4. Side discharge standard, with molded discharge chute and option to bag or mulch. 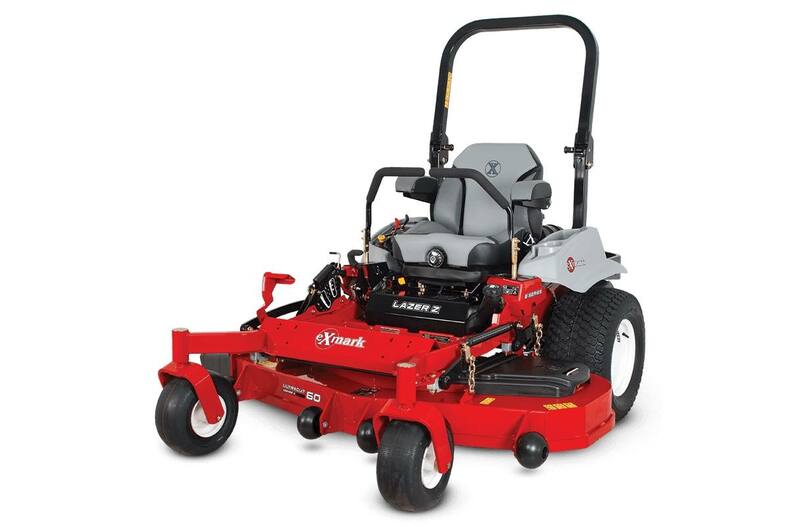 Deck Construction: 10-gauge top that is formed and continuously seam welded, 7-gauge side skirt and 7-gauge formed and welded spindle mounting locations for improved strength and reduced weight.